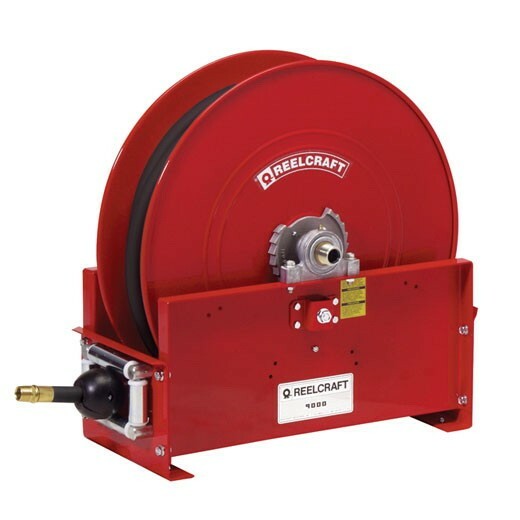 Reelcraft’s CA33106L - 3/4"x50' hand crank fuel reel is ideal for industrial or field use such as turf care or pest control. Hose is not included. 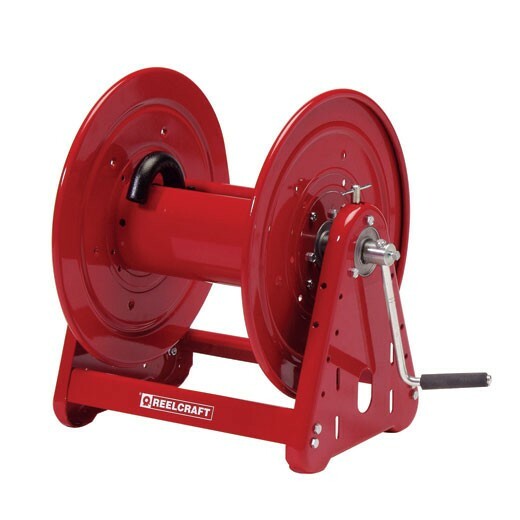 Reelcraft’s CA33112L 3/4"x100' hand crank fuel reel is ideal for industrial or field use such as turf care or pest control. Hose is not included. 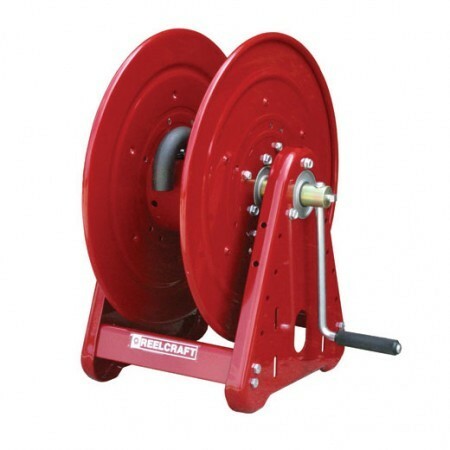 Reelcraft’s CA33112M 3/4"x100' hand crank fuel reel is ideal for industrial or field use such as turf care or pest control. Hose is not included. 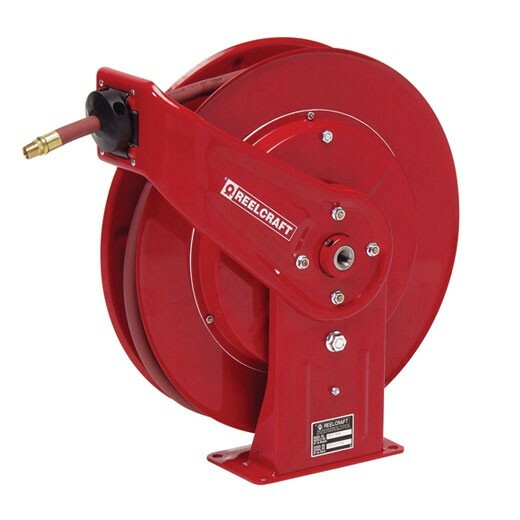 Reelcraft’s CB37118L 1"x100' hand crank fuel reel is ideal for heavy duty applications requiring long lengths of hose. Hose is not included. 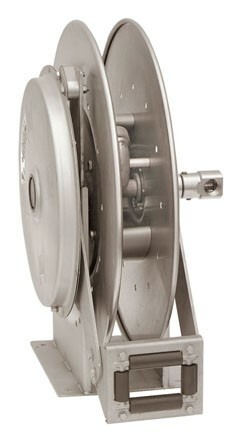 Reelcraft’s F83000OLP 3/4"x50' spring retractable fuel reel is ideal for delivering fuel and for mobile applications. Hose is not included. 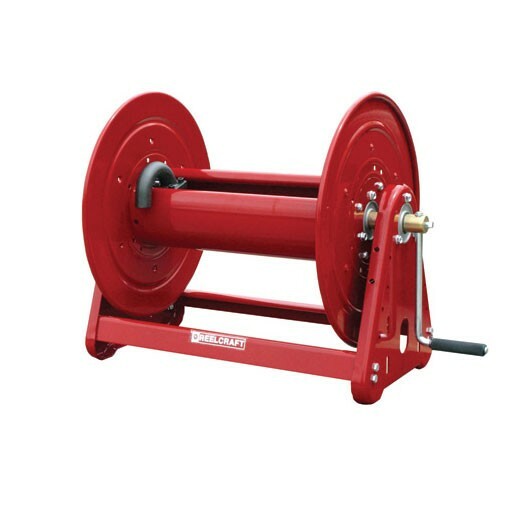 Reelcraft’s FD83000OLP 3/4"x75' spring retractable fuel reel is ideal for delivering fuel and for mobile applications. Hose is not included. Reelcraft’s FD84000OLP 1"x50' spring rewind fuel reel without hose is ideal for delivering fuel and for mobile applications. Hose is not included. Reelcraft’s FD9300OLP 3/4"x50' spring retractable fuel reel is ideal for mobile and permanent-mount applications. Hose is not included. Reelcraft's FD9400OLP 1"x50' spring retractable fuel reel is ideal for mobile and permanent-mount applications. Hose is not included. 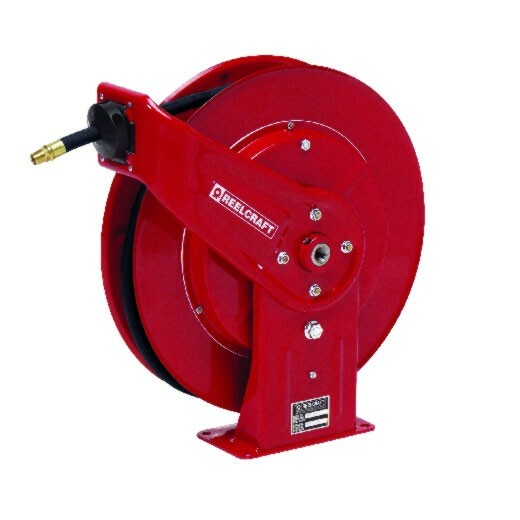 Reelcraft's FE9300OLP 3/4"x50' spring retractable fuel reel without hose is ideal for mobile and permanent-mount applications. Reelcraft's FE9400OLP 1"x50' spring retractable fuel reel without hose is ideal for mobile and permanent-mount applications. 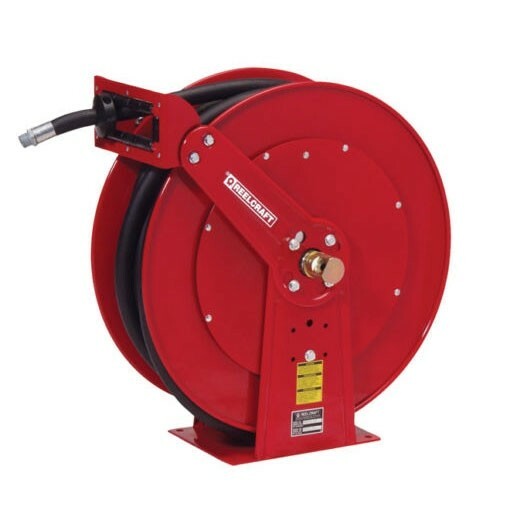 Duro Reels 1310 3/4" X 25' Heavy Duty Fuel Hose Reel is ideal for large service areas where longer hose lengths are required. Duro Reels 2118 3/4" X 25' Heavy Duty Fuel Hose Reel is ideal for large service areas where longer hose lengths are required. Duro Reels 3307-ACE-TR1 Power Rewind Fuel Hose Reel is designed for general use where one hose is required. Spring operated for frequent use. Will handle most liquids and gases. Hannay 818-23-24J-1 is a 1" X 25' Spring Rewind Reels widely for use with fuel dispensing, waste oil evacuation, air/water dispensing. Roll-formed channel frame for heavy-duty applications. Hannay 818-23-24J-3/4 is a 3/4" X 50' Spring Rewind Reels widely for use with fuel dispensing, waste oil evacuation, air/water dispensing. Roll-formed channel frame for heavy-duty applications. Hannay 816-25-26B-1 is a 1" X 35' Spring Rewind Reels widely for use with fuel dispensing, waste oil evacuation, air/water dispensing. Roll-formed channel frame for heavy-duty applications. Hannay 816-25-26B-3/4 is a 3/4" X 60' Spring Rewind Reels widely for use with fuel dispensing, waste oil evacuation, air/water dispensing. Roll-formed channel frame for heavy-duty applications. Hannay 818-25-26B-1 is a 1" X 50' Spring Rewind Reels widely for use with fuel dispensing, waste oil evacuation, air/water dispensing. Roll-formed channel frame for heavy-duty applications. Hannay 818-25-26B-3/4 is a 3/4" X 70' Spring Rewind Reels widely for use with fuel dispensing, waste oil evacuation, air/water dispensing. Roll-formed channel frame for heavy-duty applications. Hannay 820-25-26-10.5A-1 is a 1" X 75' Spring Rewind Reels widely for use with fuel dispensing, waste oil evacuation, air/water dispensing. Roll-formed channel frame for heavy-duty applications. Hannay 820-25-26-10.5A-3/4 is a 3/4" X 85' Spring Rewind Reels widely for use with fuel dispensing, waste oil evacuation, air/water dispensing. Roll-formed channel frame for heavy-duty applications. Hannay 820-30-31-10.5A is a 1" X 100' Spring Rewind Reels widely for use with fuel dispensing, waste oil evacuation, air/water dispensing. Roll-formed channel frame for heavy-duty applications. Hannay 820-30-31-15.5A is a 3/4" X 100' Spring Rewind Reels widely for use with fuel dispensing, waste oil evacuation, air/water dispensing. Roll-formed channel frame for heavy-duty applications. Hannay N816-19-20J-1 is a 1" X 15' Spring Rewind Reels widely for use with fuel dispensing, waste oil evacuation, air/water dispensing. Standard N series has a narrow frame and compact mounting base. 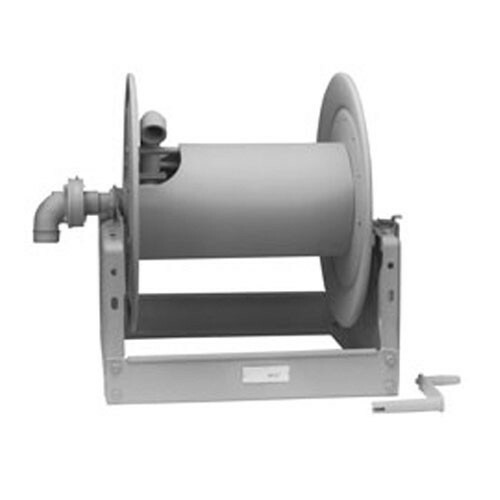 Hannay N816-19-20J-3/4 is a 3/4" X 25' Spring Rewind Reels widely for use with fuel dispensing, waste oil evacuation, air/water dispensing. Standard N series has a narrow frame and compact mounting base. Hannay N818-23-24J-1 is a 1" X 25' Spring Rewind Reels widely for use with fuel dispensing, waste oil evacuation, air/water dispensing. Standard N series has a narrow frame and compact mounting base. Hannay N818-23-24J-3/4 is a 3/4" X 50' Spring Rewind Reels widely for use with fuel dispensing, waste oil evacuation, air/water dispensing. Standard N series has a narrow frame and compact mounting base. Hannay N816-25-26B-1 is a 1" X 35' Spring Rewind Reels widely for use with fuel dispensing, waste oil evacuation, air/water dispensing. Standard N series has a narrow frame and compact mounting base. Hannay N816-25-26B-3/4 is a 3/4" X 60' Spring Rewind Reels widely for use with fuel dispensing, waste oil evacuation, air/water dispensing. Standard N series has a narrow frame and compact mounting base. Hannay N818-25-26B-1 is a 1" X 50' Spring Rewind Reels widely for use with fuel dispensing, waste oil evacuation, air/water dispensing. Standard N series has a narrow frame and compact mounting base. Hannay N818-25-26B-3/4 is a 3/4" X 70' Spring Rewind Reels widely for use with fuel dispensing, waste oil evacuation, air/water dispensing. Standard N series has a narrow frame and compact mounting base. Hannay N818-23-24JV is a 3/4" X 50' Spring Rewind Reels for use with fuel dispensing. It comes with Goodyear BC hose, Stop & Viton Seals. 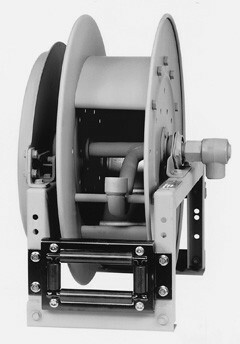 The reel has a narrow frame and compact mounting base. Hannay N818-25-26BV is a 1" X 50' Spring Rewind Reels for use with fuel dispensing. It comes with Goodyear BC hose, Stop & Viton Seals. 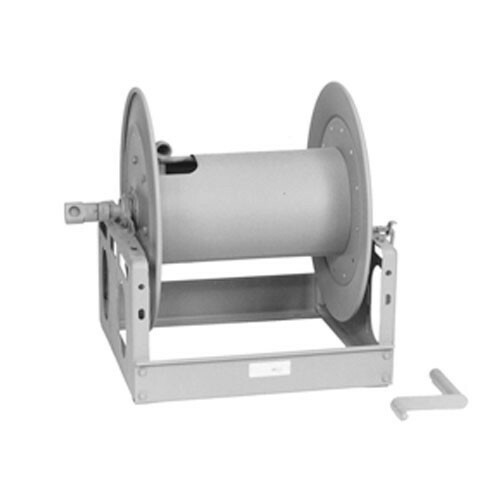 The reel has a narrow frame and compact mounting base. Hannay 3016-25-26-1 is a 1" X 50' Compact Manual Rewind Reels for fuel dispensing, spray operations, fire protection. Hannay 3016-25-26-3/4 is a 3/4" X 100' Compact Manual Rewind Reels for fuel dispensing, spray operations, fire protection. Hannay 3020-25-26-1 is a 1" X 100' Compact Manual Rewind Reels for fuel dispensing, spray operations, fire protection. 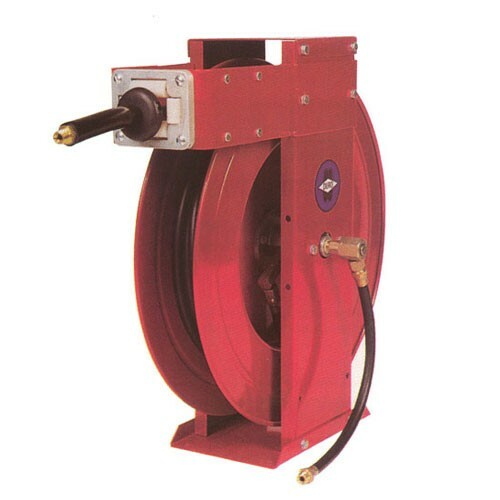 Hannay 3020-25-26-3/4 is a 3/4" X 150' Compact Manual Rewind Reels for fuel dispensing, spray operations, fire protection. Hannay 3024-25-26-1 is a 1" X 150' Compact Manual Rewind Reels for fuel dispensing, spray operations, fire protection. Hannay 3024-25-26-3/4 is a 3/4" X 250' Compact Manual Rewind Reels for fuel dispensing, spray operations, fire protection. Hannay 3028-25-26-1 is a 1" X 200' Compact Manual Rewind Reels for fuel dispensing, bulk transfer, fire protection. Hannay 3028-25-26-3/4 is a 3/4" X 300' Compact Manual Rewind Reels for fuel dispensing, spray operations, fire protection. Hannay 3516-25-26 is a 1" X 50' Compact Manual Rewind Reels for fuel dispensing, bulk transfer, fire protection. Hannay 3520-25-26-1 is a 1" X 100' Compact Manual Rewind Reels for fuel dispensing, bulk transfer, fire protection. 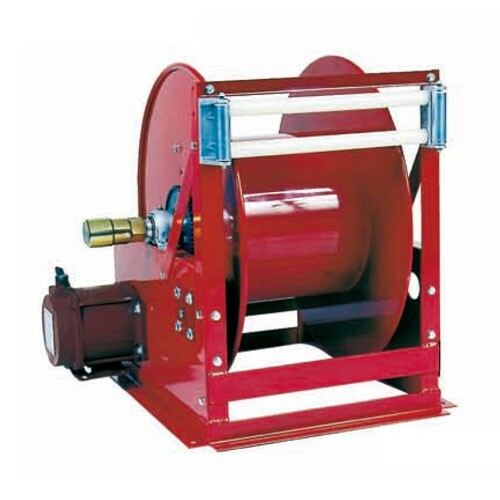 Hannay 3520-25-26-1.5 is a 1.5" X 50' Compact Manual Rewind Reels for fuel dispensing, bulk transfer, fire protection. Hannay 3524-25-26-1 is a 1.5" X 150' Compact Manual Rewind Reels for fuel dispensing, bulk transfer, fire protection. 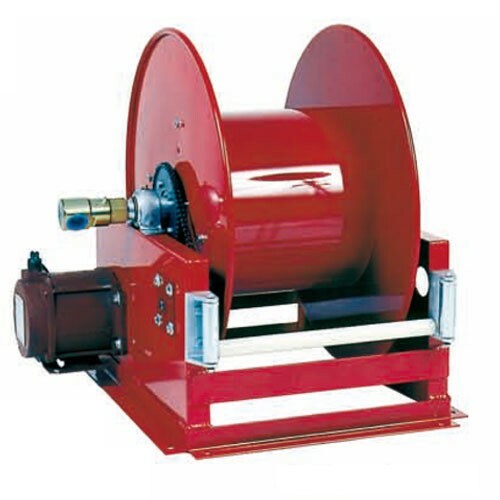 Hannay 3524-25-26-1.5 is a 1.5" X 75' Compact Manual Rewind Reels for fuel dispensing, bulk transfer, fire protection. Hannay 3528-25-26-1 is a 1" X 200' Compact Manual Rewind Reels for fuel dispensing, bulk transfer, fire protection. 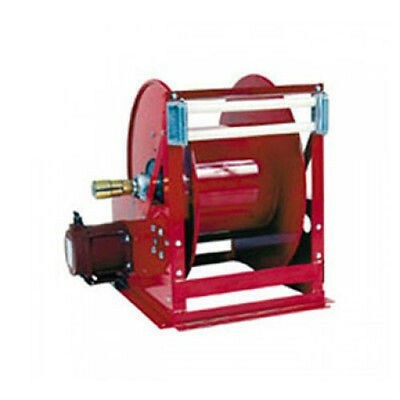 Hannay 3528-25-26-1.5 is a 1.5" X 100' Compact Manual Rewind Reels for fuel dispensing, bulk transfer, fire protection. Hannay 3524-30-31-1 is a 1" X 200' Compact Manual Rewind Reels for fuel dispensing, bulk transfer, fire protection. Hannay 3524-30-31-1.5 is a 1.5" X 100' Compact Manual Rewind Reels for fuel dispensing, bulk transfer, fire protection. Hannay 3528-30-31-1 is a 1" X 250' Compact Manual Rewind Reels for fuel dispensing, bulk transfer, fire protection. 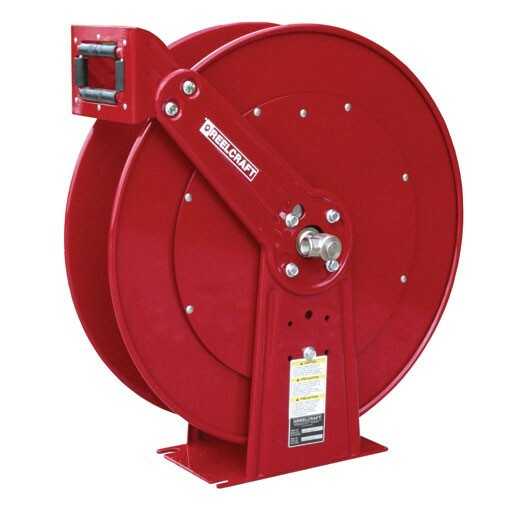 Hannay 3528-30-31-1.5 is a 1.5" X 150' Compact Manual Rewind Reels for fuel dispensing, bulk transfer, fire protection. Hannay 3534-30-31-1 is a 1" X 350' Compact Manual Rewind Reels for fuel dispensing, bulk transfer, fire protection. 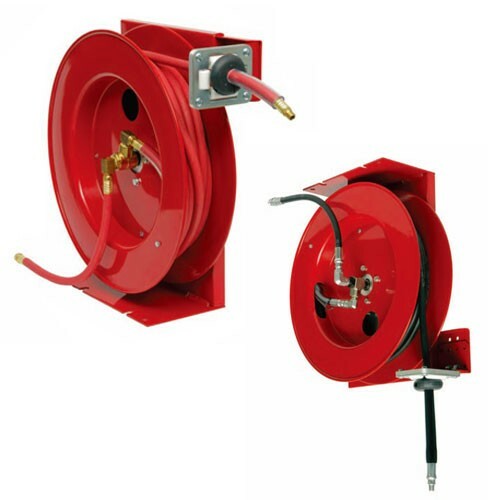 Hannay 3534-30-31-1.5 is a 1.5" X 200' Compact Manual Rewind Reels for fuel dispensing, bulk transfer, fire protection. Hannay 3530-33-34-1 is a 1" X 400' Compact Manual Rewind Reels for fuel dispensing, bulk transfer, fire protection. Hannay 3530-33-34-1.5 is a 1.5" X 250' Compact Manual Rewind Reels for fuel dispensing, bulk transfer, fire protection. Ships in 30-45 Business Days! Reelcraft's FD9450OLP 1"x50' spring retractable fuel reel is ideal for mobile and permanent-mount applications. 1" X 50' Hose is included. Hannay 818-25-26-10.5REVBTR is a 1" X 50' Spring Rewind Reels widely for use with fuel dispensing, waste oil evacuation, air/water dispensing. Roll-formed channel frame for heavy-duty applications.